RollenHost Review 2019: Is RollenHost a Good Hosting? RollenHost is a U.A.E.-based web hosting provider with over seven years experience in the web hosting industry. The vendor focuses on offering shared hosting, reseller hosting, VPS and dedicated server solutions. RollenHost is a web hosting company based in the United Arab Emirates. The vendor provides an array of internet services including dedicated and VPS server solutions, shared hosting and reseller services. 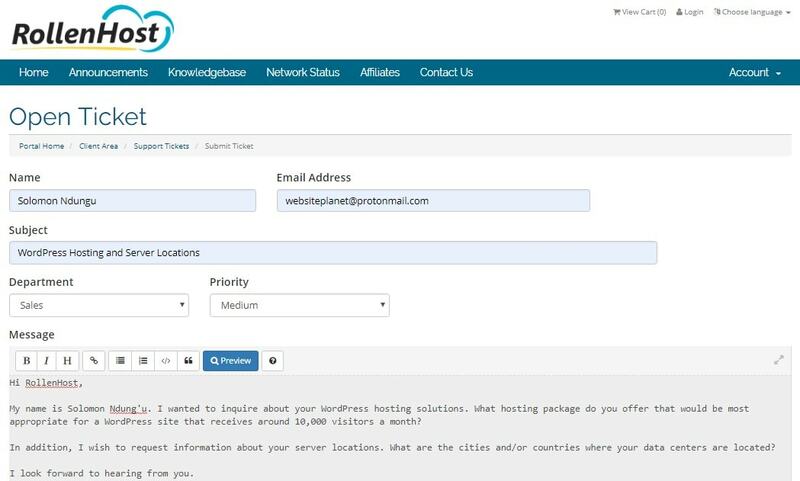 The vendor states on its website that its servers are located in Europe but does not specify the country and/or city. The RollenHost website is only available in English. RollenHost shared hosting solution comes in four packages named based on the disk space included: 5GB Space, 10GB Space, 25GB Space, and 50GB Space. The 5GB Space is the basic package. It comes with 50GB bandwidth, unlimited MySQL databases, and unlimited subdomains. The most advanced package is the 50GB Space. It includes 500GB bandwidth, unlimited MySQL databases, and unlimited subdomains. All the shared packages use the cPanel control panel. Shared and reseller hosting clients have access to backup services; the vendor includes automatic daily backups in these two hosting plans. However, the hosting provider does not offer backup services for its VPS and dedicated server solutions. It is the responsibility of the clients to perform and store backups of their websites data. RollenHost VPS servers run on CentoS/Ubuntu operating system and have full root access. The firm offers Intel Quad Core processors for its dedicated servers. The VPS and dedicated servers come with an IP address. The vendor doesn’t seem to offer SSL certificates even as paid addons. RollenHost’s prices are notably higher when you consider the hosting solutions it provides and the apparent feature restrictions included. A good example is the apparent disk space restrictions it has put in all its hosting plans. All their prices are listed in dollars. RollenHost offers inflexible billing cycles; the shortest period customers can commit to a hosting contract with this vendor is one year. The firm has no money back guarantee. On its home page, the vendor claims to offer a 100% network uptime guarantee. However on its service pages, it lists its network uptime guarantee significantly lower at 99.9%. It offers a free domain for each shared and reseller hosting plan purchased. For VPS and dedicated servers clients, the vendor offers free setups. You can contact RollenHost technical team via its ticketing system. The vendor has no email, telephone or live chat support and does not offer round the clock support. The vendor’s technical support team takes unnecessarily long to respond and sometimes they don’t respond at all. I sent a query via its ticketing system but never received a response. The vendor also has an empty knowledgebase section on its website. RollenHost offers hosting solutions powered by modern hosting infrastructure that can seemingly host both SMEs and large websites. However, the vendor includes very little detail about the restrictions of its offerings and gives vague information about its server locations. Its unresponsive support does not help clarify matters. This can be a cause for concern from would-be customers that require transparency from a hosting company with whom they intend to do business. 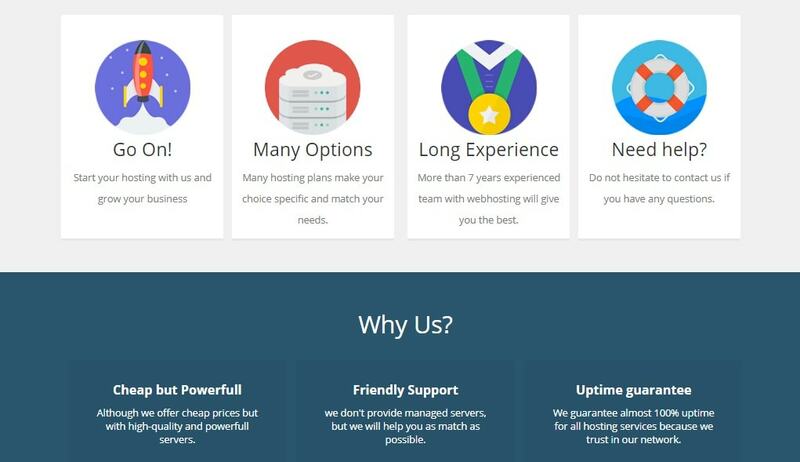 Wondering how RollenHost stacks up against other Web Hosting companies? Enter any other Web Hosting company and we will give you a side-by-side comparison.